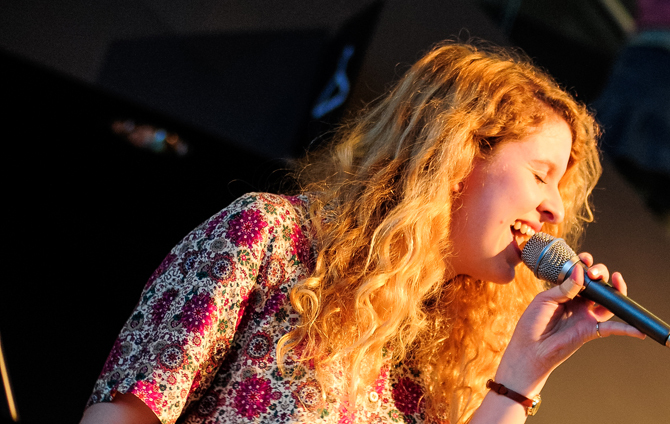 Congratulations to Jazz vocalist Hannah Grace, who’s been announced as one of the BBC Horizons artists for 2015. Hannah – who’s in her third year at the college – was one of 12 artists selected for the year-long scheme from Arts Council Wales and BBC Cymru Wales. She’ll get exposure on BBC TV and radio, a BBC Maida Vale recording session, opportunities to play at festivals in Wales, the UK and overseas, as well as career mentoring and professional promotional tools. Hannah’s already making waves on the music scene. She supported Gabrielle Aplin on tour, and sang backing vocals on her sold-out UK English Rain Tour in 2013, and at Glastonbury 2014. Hannah released her debut Meant to be Kind EP through Gabrielle’s Never Fade Records in July 2014 – one of the tracks from the EP, ‘Broke’, was chosen by iTunes as their ‘single of the week’ in the UK, France, Netherlands, Italy, Norway, Finland and Denmark. Hannah also supported Hozier on part of his recent European tour.